FILL a medium-sized pan with water and salt and bring to a boil. COOK the lentils, exact time depends on the type of lentils you’re using. Create a caramel. MELT sugar on very low heat in the small saucepan. Wait carefully and don’t stir, the sugar will get a beautiful golden brown color. Keep an eye on the sugar, it tends to burn quickly. As soon as all the sugar have a brown color, STIR in the walnuts and make sure they’re all coated. TRANSFER them to the plate lined with parchment paper and let them cool off. RINSE the lettuce if needed and remove any excess water with a salad spinner. 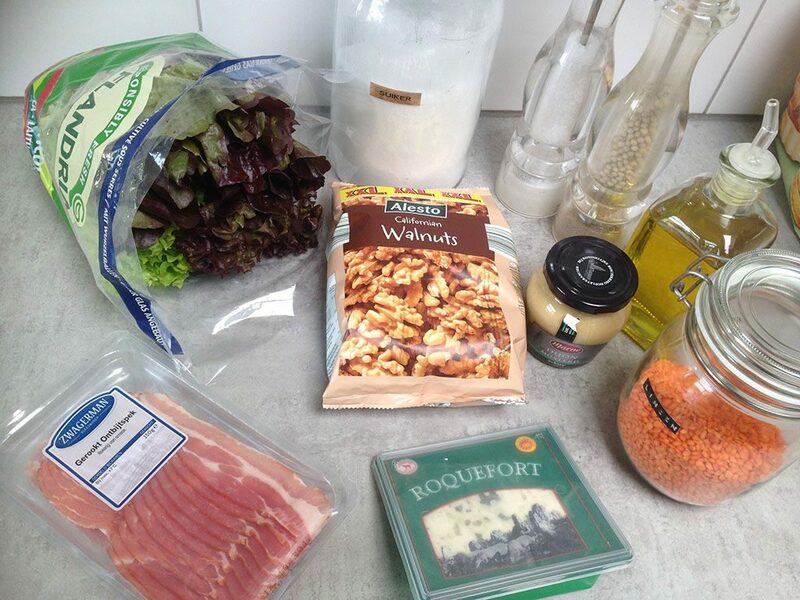 CREATE a simply mustard dressing using this recipe, you can also make it without the herbs. DRAIN the lentils in a fine sieve and create crispy bacon using an oven or large skillet. TRANSFER the bacon to a paper kitchen towel to get rid of any excess fat. 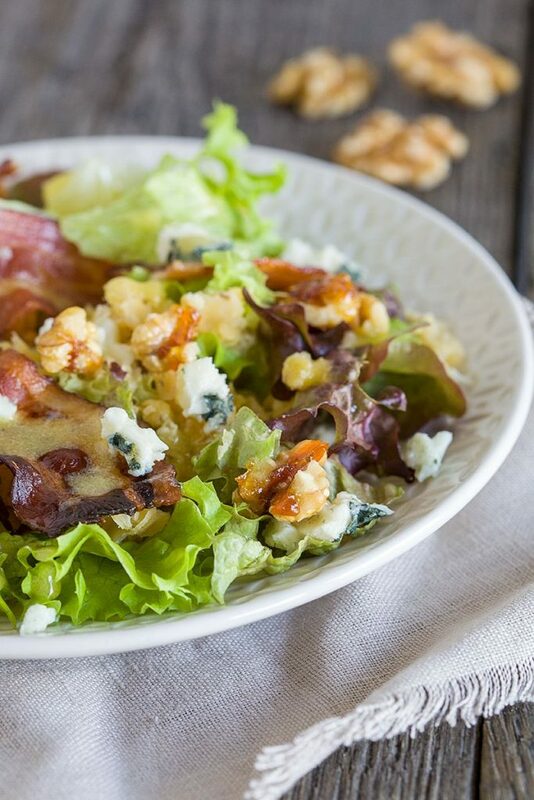 DIVIDE lentils and lettuce over plates along with the bacon into pieces. 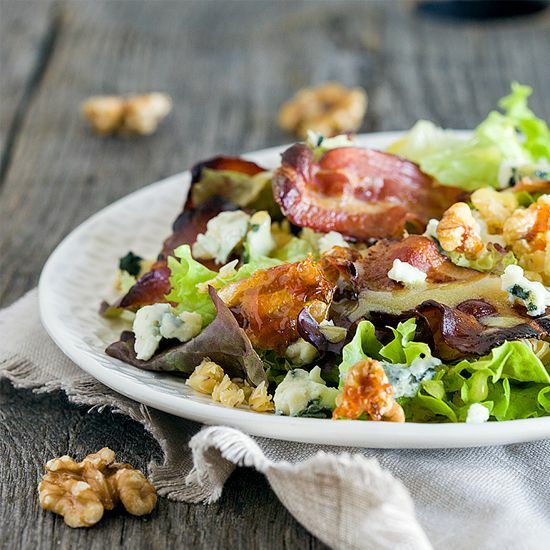 DIVIDE the walnuts into pieces and add them to the salad along with pieces of blue cheese. 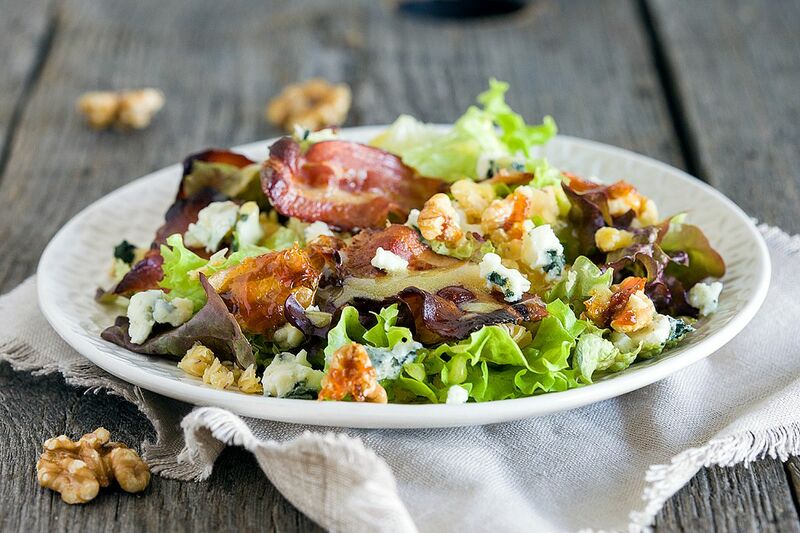 FINISH the salad with mustard dressing, enjoy!